Creating a new brand for a brand-new company, providing everything needed to take their vision forwards. Dan and Graeme had a simple vision: to create a data management company that would stand apart from the competition. After working in the industry for several years, they felt there was a gap in the market: an opportunity to provide large organisations with the same level of service and expertise offered by the big three data management companies, but without the red tape, complex contracts and SLAs. The new venture would provide a transparent and honest approach, with a focus on delivering a real cost benefit to their customers. The team behind soon-to-be-IntoZetta came to Splitpixel to realise the brand for their new company, from the name, to the logo and colours. The brief was ambitious. They wanted their brand identity to be scalable – this was a business with aspirations for growth on a global scale. But beyond that, it was pretty much a blank slate – it was up to us to bring this brand to life. What’s in a name? 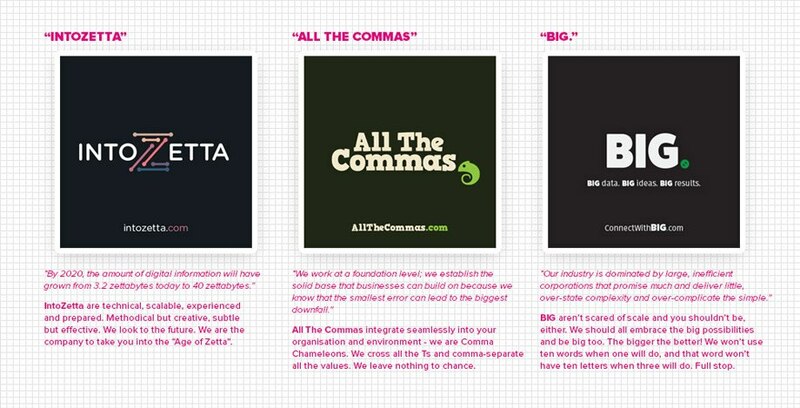 Well, everything – it needs to be unique, memorable, and represent a company’s entire ethos. Having free rein to name a new company can be a challenge. 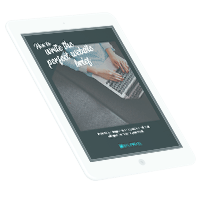 We spent plenty of time with the client to understand more about the business model, and get to know their market and audience – something they knew incredibly well. The clients liked the idea of a portmanteau, so we developed this with a few more options, all of which used words associated with the technical side of their industry. However, it seemed like we were onto a winner from the start – the name IntoZetta really resonated with the clients, and that’s what they chose. 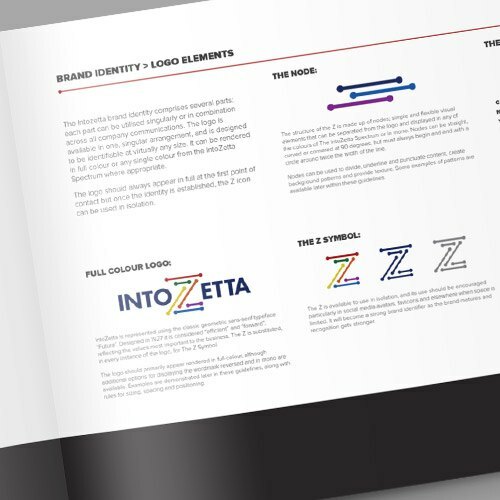 The next stage of the project was to fully develop the brand guidelines. This involved the design of the logo and all other assets that would form the identity of the company. 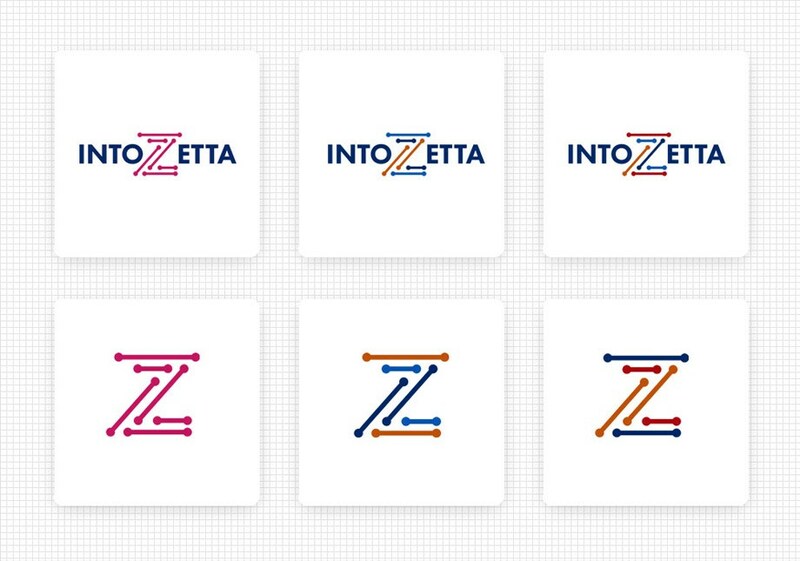 Firstly, the design team produced several variations of the IntoZetta logo, applying different typographic elements and colour schemes. It was a real collaborative process with the client, who had input through every stage of development. The final version was designed with a prominent Z. This created a standalone icon that could be used as an asset in its own right. The design incorporated nodes and handles – a gesture to data transfer and information technology. Many colour variations were considered before the final decision was made. These were based around the blue used in the US flag, a nod of the head to the global market. Right from the outset our client wanted a tangible brand that would stand the test of time, but also translate globally. Using the branding, a full suite of logos and brand assets were developed, including patterns, borders and illustrations, giving a huge amount of flexibility for the brand over the years to come. 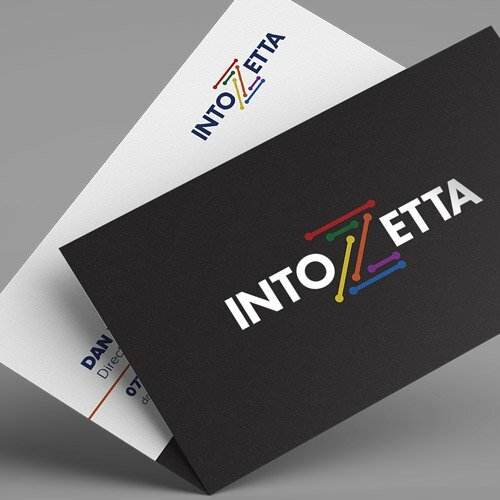 We designed a full set of business stationery for IntoZetta, including business cards, and worked with our local printing partners to deliver everything a new business needs. Working with IntoZetta was a great experience – it was very exciting to be able to work with them from so early on, and have such a big impact on who they are as a company. We’ve loved watching them grow over the years!